Early on, we discovered that Funimation unveiled their dubbing line-up for the UK side. Two of which were in fact missing, or in actuality won’t be streaming for the UK; King’s Game the Animation and Love Live! Sunshine!! Season 2. The latter made sense due to Anime Limited acquiring the license for the first season (and they’re releasing it on Blu-ray later this year). However the former was a mystery. Now it has been revealed that Anime Limited did in fact acquire the license for King’s Game the Animation, also known as Ōsama Game in Japan, for home video and streaming. 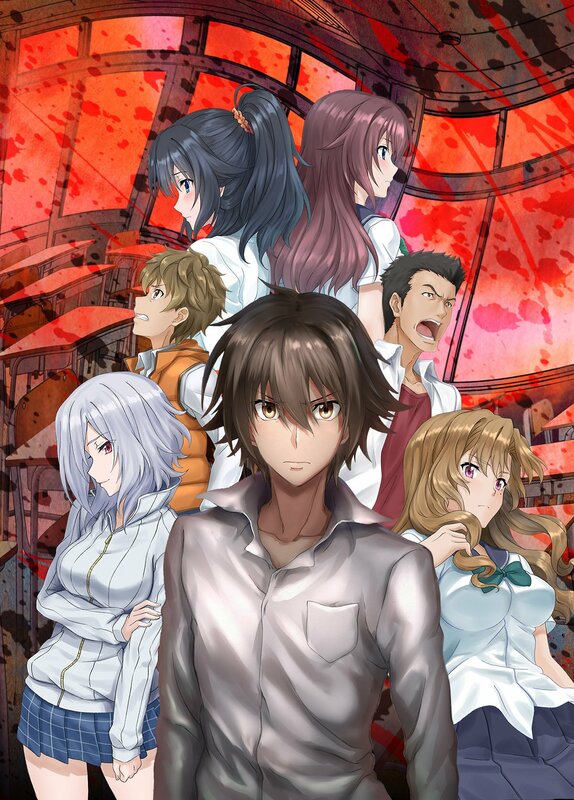 The horror survival series is based on a series of novels with an origin prequel available in manga form (which is available to read on Crunchyroll). Much like a couple of their simulcast licenses (for instance Love Live! Sunshine!! ), the series will be streaming on Crunchyroll as soon as it airs in Japan just like the United States & Canada are. The series starts on Thursday 5th October at 5:00pm in Japanese with English subtitles. There is a planned English dub but it will not be available for the UK on Funimation’s streaming service.